Mick Turner of Turner’s Engineering is your epitomic entrepreneur. With a portfolio of business and commercial interests encompassing manufacturing, equipment hire and sales, heavy haulage, hospitality and industrial property, Mick has made succeeding at whatever you do, into a way of life. Mick moved to Nerang in South East Queensland in his early 20s buying the local service station and set about forging a career in the automotive mechanical repair industry. At the same time he took on distribution rights for the Danarm brand of chainsaws. Mick then bought an Italian Ansaldo tractor and a Diamond Rio truck and diversified into timber snigging and grain haulage. He soon had his own fabrication workshop where he’d specialise in doing whatever it was you needed done. Over time, Mick’s reputation for ingenuity and his ability to make, fix or improve anything was surpassed only by his business sense. Under Mick’s direction, Turner’s Engineering took on projects ranging from the construction of Gold Coast hotels to the manufacture and standardisation of greyhound track starter’s boxes and the electric rabbit. In addition to these, Turner’s were engaged to construct front loading barges for the Gold Coast waterways and even designed, built and installed crematorium furnaces. Mick recognised an opportunity in the civil contracting, earthmoving and construction industries. 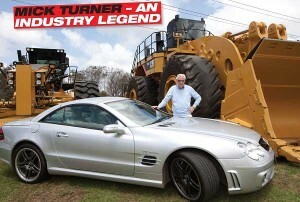 With his own brand of tenacity, Turner’s Engineering established themselves as a market leader in the manufacture of earthmoving equipment buckets and attachments, the conversion of Caterpillar Landfill compacters into soil compactors, as well as Queensland transport roadworthy inspection and general engineering. With access to all this equipment came the opportunity to enter the plant hire game and eventually become mining contractors and suppliers of large equipment. Specialising in hiring dozers, graders and compacters, Turner’s Engineering has gained a reputation for supplying the industry with the most modern equipment in the best condition. Maintained by a team of highly skilled plant mechanics motivated by Mick as their mentor, the Turner’s Engineering name has become synonymous with quality and value. Turner’s Engineering now supply some of Australia’s largest mines with D10T and D11T bulldozers, 16M and 24M graders, 993K wheel loaders, a range of Cat off-highway trucks as well as large Hitachi and Komatsu excavators. The scope of their manufacturing capabilities includes a range of excavator and wheel loader attachments spanning from one to 100 tonne. Their newest venture however, is the design, manufacture and final fit-out of premium quality lube truck and water cart bodies / systems for both road trucks and mining trucks alike. bikes, boats, cars and aircraft, and his collection of “toys” is something to behold. He also has a large family and many loyal friends. Having personally shared a beer or two with Mick, I can vouch for his character. The man is a loveable larrikin who doesn’t mind sharing a funny story over a cold beer. One such story hales back to his days selling chainsaws when a local publican vocally passed judgement on Mick’s “Danarm” products in front of some of the other patrons. In a spray of smoke and woodchips, Mick then went about transforming all his barstools into footstools proving the capabilities of the saw for all to see. All the while wearing a grin from ear to ear. in putting Nerang on the map, bringing jobs and other industry to the area, promoting and sponsoring sporting clubs and local charity events over the years. 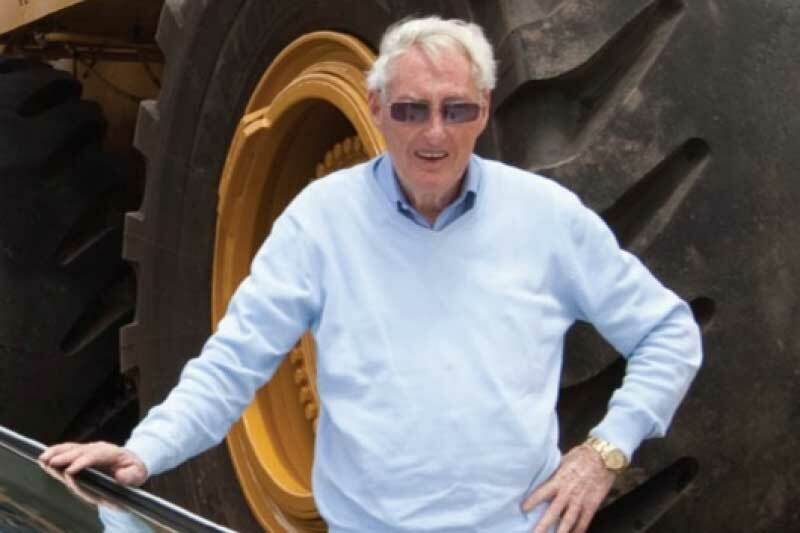 Mick has a wealth of knowledge that he shares with his ten sons and daughters, some of whom have followed his footsteps in the industry. Mick has built Turner’s Engineering into a diverse one-stop-shop catering to the needs of a broad spectrum of the mining, earthmoving, construction and transport industries. Turner’s Engineering products and services are now sought after by every sector of the industry from the mining companies, equipment distributors and civil contractors to owner operators alike.